Elegant glass lantern based on a traditional design, with a metallic finish and LED technology adding a contemporary twist. Inside, a copper wire chain of 40 warm white LEDs produces a ‘starry night’ glow to bring a touch of magic to any gathering. 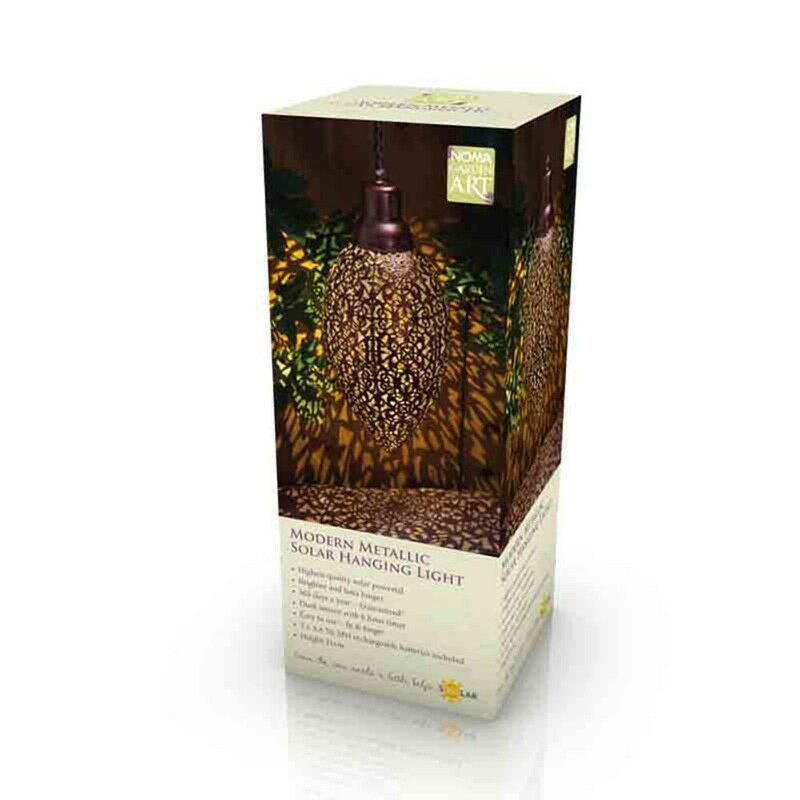 Includes inbuilt 6-hour timer for all-evening illumination. Batteries are included and will last at least 60 days before needing replacing.